All are welcome to train with us, including beginners and practitioners from other Aikido styles and martial art systems. 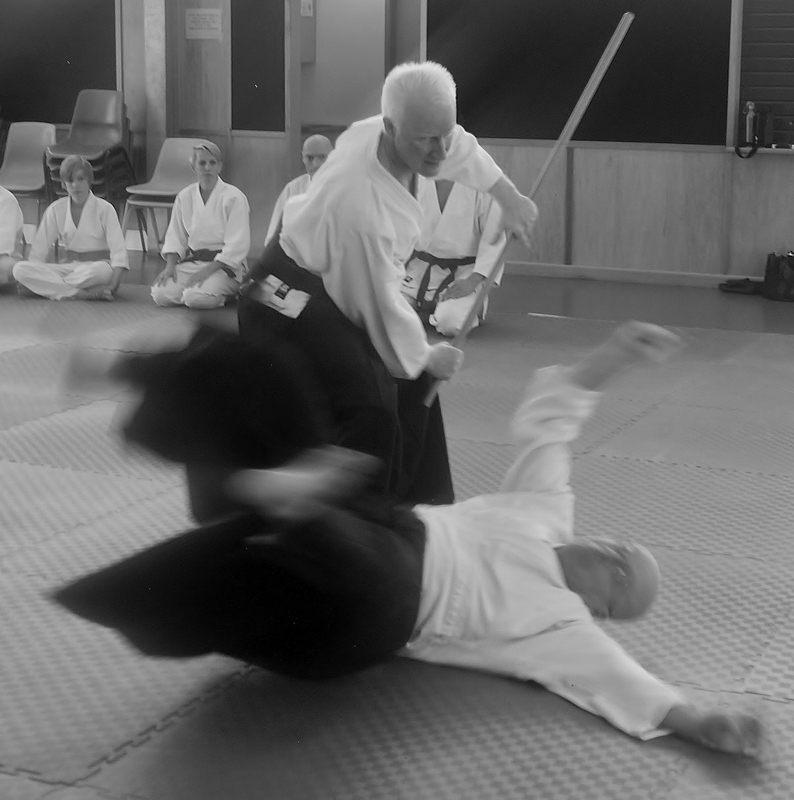 The Aikido Warrior Dojo is located in the Community Hall of the Arana Hills Uniting Church. The street address is the 14 Alstonia and Cestrum Streets, Arana Hills. However, the off street car park is in Cestrum Street and is directly in front of the entry to the dojo (see map). The cost per lesson is $10. There is also an annual membership fee for students who wish to join Aikido Kenkyukai International. Classes are held on Wednesdays 7.30pm – 9.00pm and 10.00 am – 11.30 on Saturday mornings. Classes are suitable for persons aged 13 years and above. Persons younger that 13 years may train subject to the approval of the Head Instructor. Students are asked to attend 15-20 minutes before class to ensure there is plenty of time for administrative matters, getting ready and helping out with the mats. Training uniforms (gi) are ideal but not essential – please wear loose, comfortable clothing. No shoes are worn on the training mat. Bring a drink bottle – filtered water is available to fill it up.